Homeland security officials shut down all northbound lanes at the San Ysidro port of entry early Monday morning, after receiving reports that caravan migrants were planning to rush the border and cross illegally, U.S. officials said. Port operations were suspended for just over three hours while border authorities, supported by military personnel deployed to the area, carried out “hardening efforts” at the facility, according to Department of Homeland Security (DHS) Secretary Kirstjen Nielsen. “This AM, all of #SanYsidro Port of Entry’s northbound lanes were temporarily closed to initiate additional port hardening efforts after @CBP officials were notified that a large # of caravan migrants were planning to rush the border in an attempt to gain illegal access to the US,” Nielsen wrote on Twitter. The closure at San Ysidro, one of the world’s busiest land border crossings, began at 3:15 a.m. Monday and was lifted at 6:25 a.m., according to DHS officials. When northbound traffic resumed, port authorities were operating 15 entry lanes, down from 23 lanes before the temporary suspension. In a statement released Monday morning, Customs and Border Protection (CBP) said “impediments” had been placed in some of the entry lanes to prevent a large group of people from running through. The response at San Ysidro was based in part on information received from Mexican government officials, a senior administration official said on the condition of anonymity. No unusual activity on the part of caravan migrants was observed after the facility was hardened, the official added. 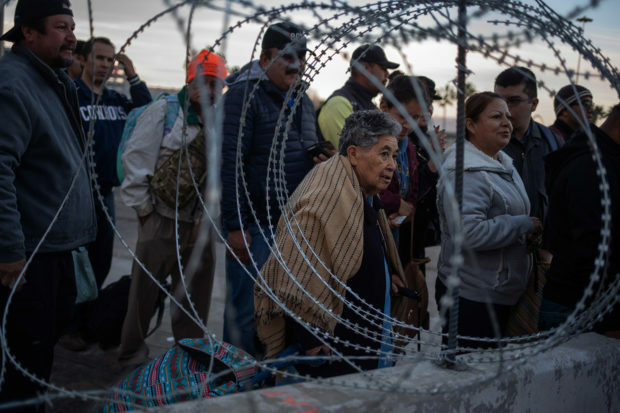 The caravan, a mix of families seeking asylum and economic migrants, has stirred controversy in Tijuana, where some local residents and officials are angry with the influx of thousands of new arrivals. Hundreds of residents protested outside a sports complex where 2,000 of the migrants are being housed Sunday, denouncing them as “criminals” and “freeloaders” who had flouted Mexican law. Thousands more Central American migrants traveling in large groups are expected to arrive in Tijuana in the coming weeks. As they arrive, wait times to apply for asylum at San Ysidro could extend to several months. Immigration authorities are currently processing an average of between 70 and 80 asylum applicants per day at San Ysidro, according to CBP officials. At that rate, it would take about 80 days to process the 6,000 asylum seekers already waiting in Tijuana.